This year Interop celebrates 30 years as the industry’s most-respected independent technology conference and expo for modern IT and networking professionals. IT Pros come to Interop to see the future of technology, the outlook for IT, and the possibilities of what it means to be in IT. Through in-depth educational programs and real-world demos, Interop features the most powerful innovations and solutions the industry has to offer and provides the forum for the world’s largest gathering of IT professionals. The YumaWorks team took the opportunity to showcase YumaPro SDK, our powerful Server Development Toolkit, by offering demonstrations of our cutting edge RESTCONF implementation. The team also got the word out about yangcli-pro (now available for free! ), our robust NETCONF client tool that makes configuring and testing NETCONF servers easy, all while handing out some awesome YANG Cheat Sheets (available as a PDF here). 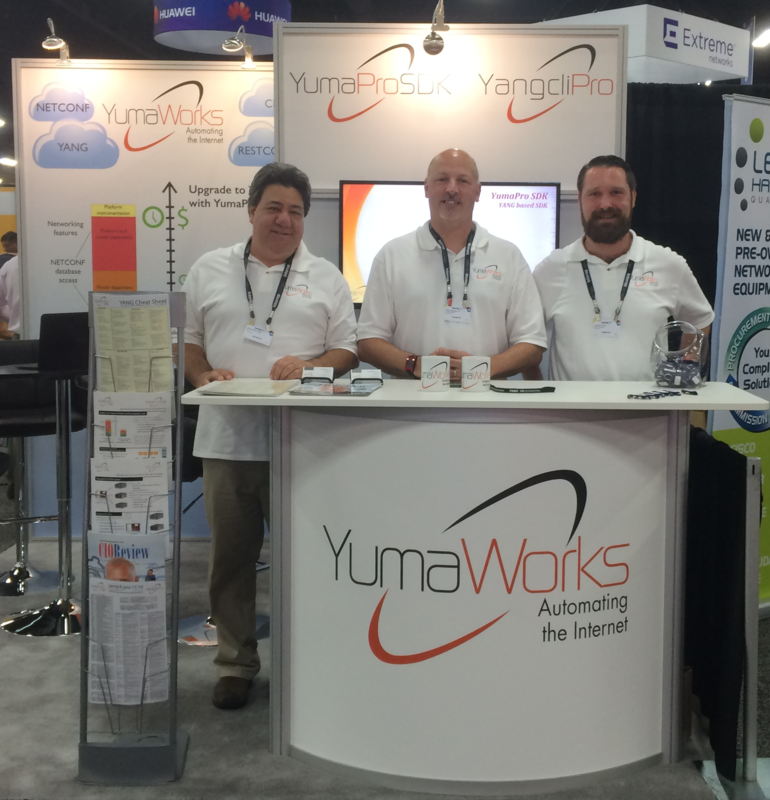 Interop proved to be a great platform to showcase YumaWorks’ suite of automation tools. The rapid of emergence of Software Defined Networks and Network Function Virtualization was on full display at Interop, and YumaWorks provides the programmatic solutions that are an absolute must for SDN and NFV. To learn more about what YumaWorks automation tools can do for you, request a demo today!